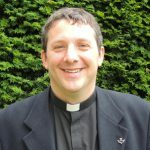 “Welcome to the Vocations section of the website! I’m sure you know that, flowing from our baptism, we have all been given a vocation, a call from God to do something with our lives. We have all been graced by the Holy Spirit with our own unique way of living our common Christian calling. So, it’s time to consider how we might try and deepen our prayer as we seek to grow in our understanding of that vocation and walk the way of discipleship! For some men, that vocation may be to the priesthood. As Vocations Director, it is my role to encourage especially this particular calling. 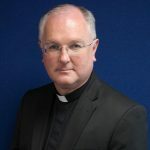 After all, the call to the priesthood is a vital one within our Church because a priest is ordained to be a sign and instrument of Christ the Good Shepherd for his people, and to preside at the Eucharist, amongst many other things. For some men and women, their vocation may be to serve Christ in the religious life, be it in monastic or apostolic communities. This call is to help sanctify the world through prayer, active ministry, and especially through the faithful living out of the vows of poverty, chastity and obedience. For many men and women their vocation will be to marriage, and to the joy that brings as they seek to reflect Christ’s love for the Church in their blessed union and through their family. For some men and women their vocation will be to the consecrated single life and to the sanctification of themselves and the world through this commitment. Some married men will also be called to serve as permanent deacons – ordained heralds of the Gospel and servers of the poor. 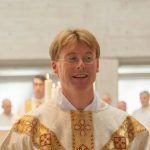 Father Matt Anscombe will be happy to answer any questions or to help explore a possible vocation to serve as a priest in the Clifton Diocese.